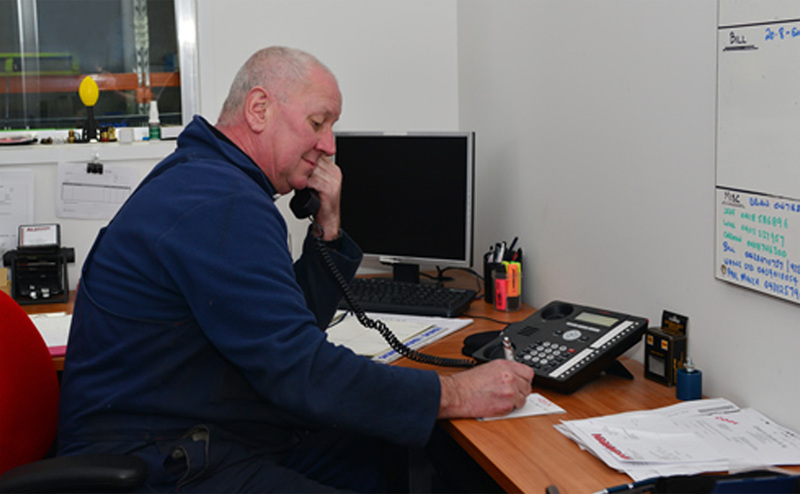 At Whyte’s we believe in delivering exceptional customer service and after-sales support. With the only Sapphire Scientific technician in Australia, we are usually heavily booked. 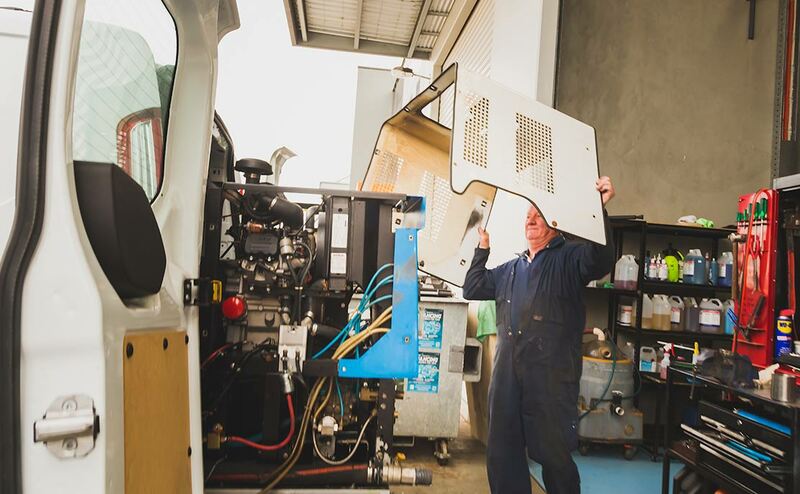 So that we are able to offer your machinery our undivided focus, prompt attention, reduced waiting and down time, please call ahead to book your service. 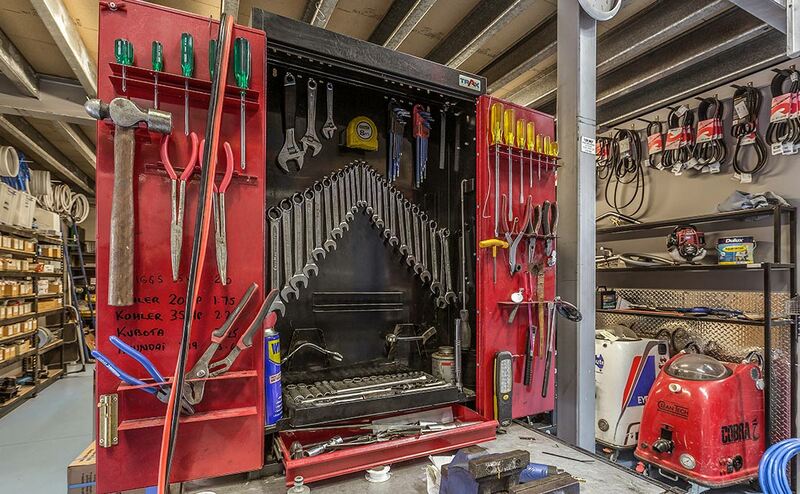 We service all brands, makes and models of truckmounts, portables and accessories. 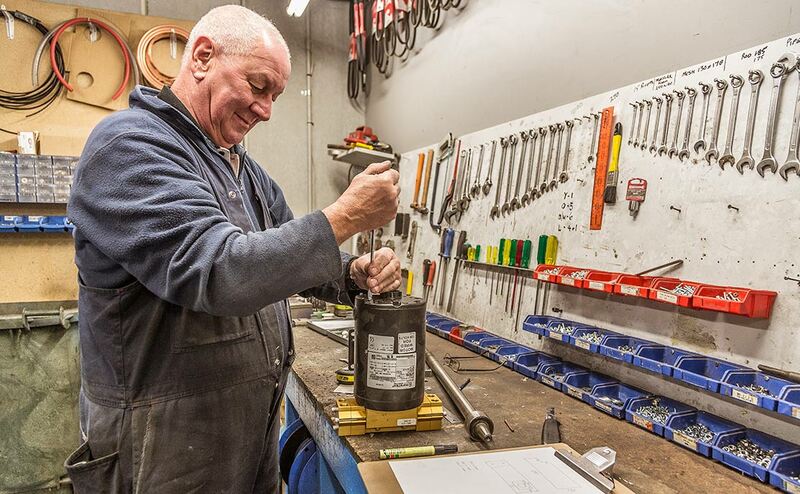 We carry spare parts and offer emergency repairs. 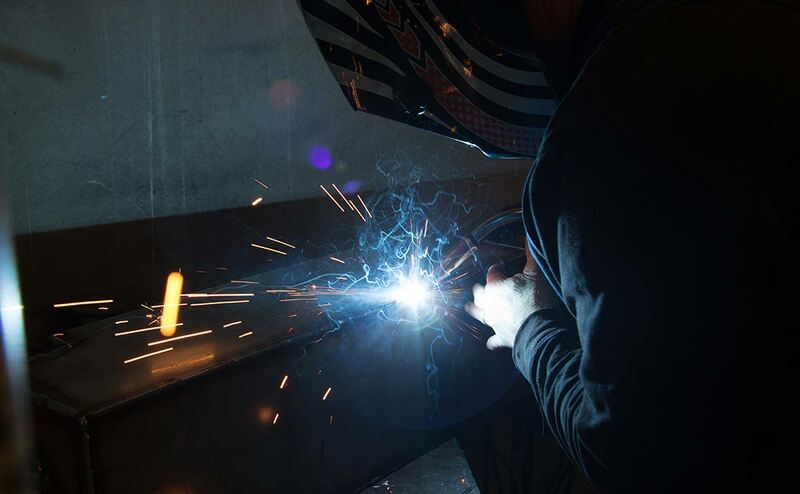 We pride ourselves on providing professional, affordable servicing. 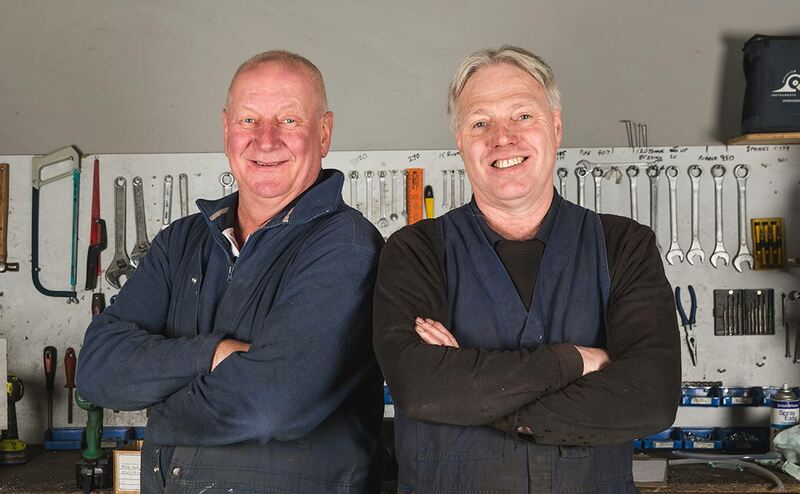 At Whyte’s If you’re out on a job and run into trouble, you have peace of mind knowing that Whyte’s Support Team is available to take your call and guide you away from making costly mistakes. We answer all enquiries, from chemical selection to identifying carpet & tile types and everything in between. We can also FaceTime with remote clients to assist with identifying machinery problems. Call us on (03) 9758 6711 or check out our video's. 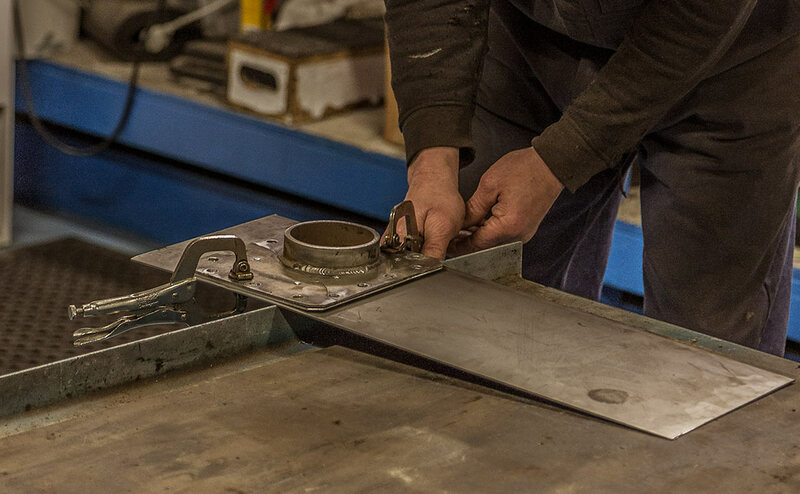 We take the unrepairable truckmount or Portable and repair it back to its original state. 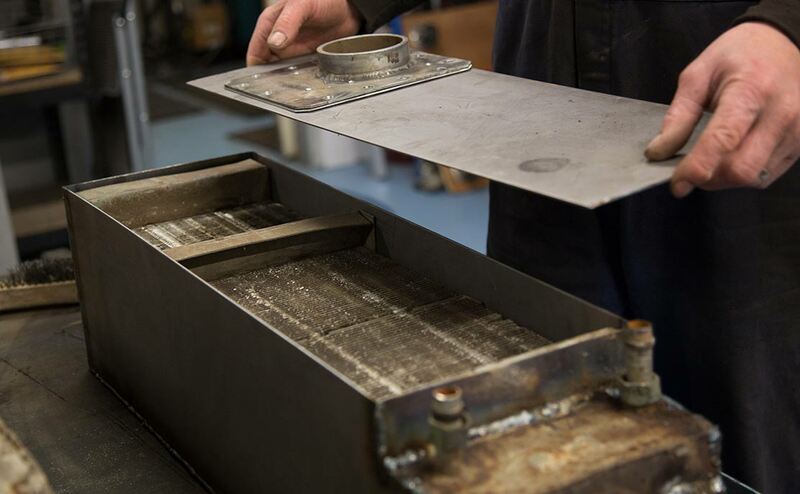 With our inhouse manufacturing and know how no job is too big. Using a combination of old and new products we can bring parts and accessories back to life. Not only do we repair old warn parts we also refurbish entire machines and accessories. The final step in refurbishing a part that is no longer available. 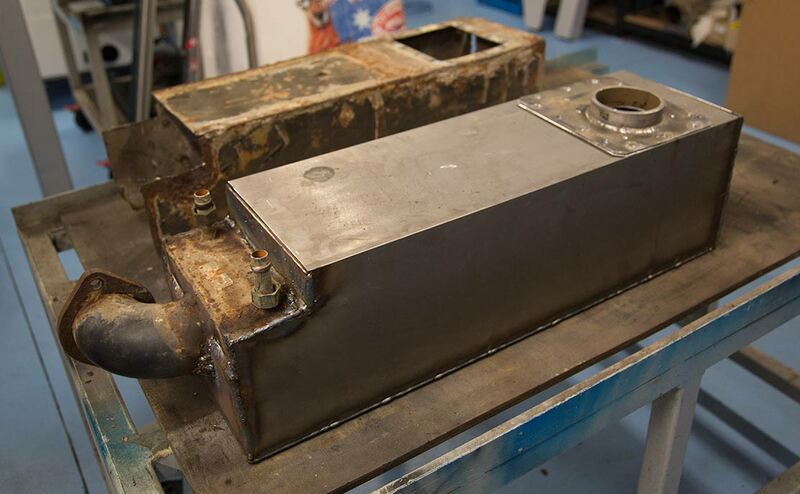 Heat Exchanger unit before a Whyte’s make over to a restored Heat Exchanger. 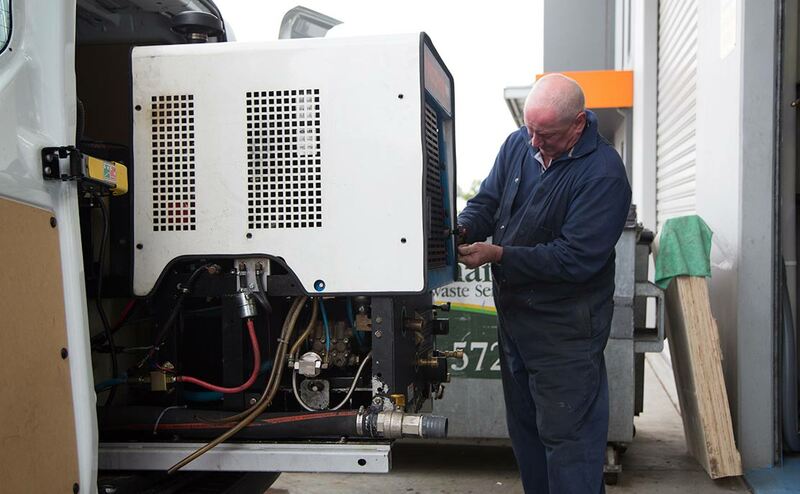 We service and repair all brands of machines. 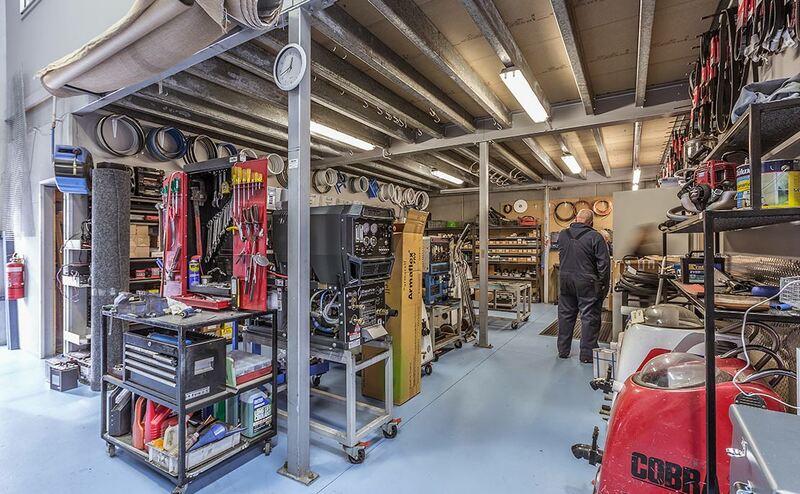 We carry a wide range of spare parts for various makes and models. 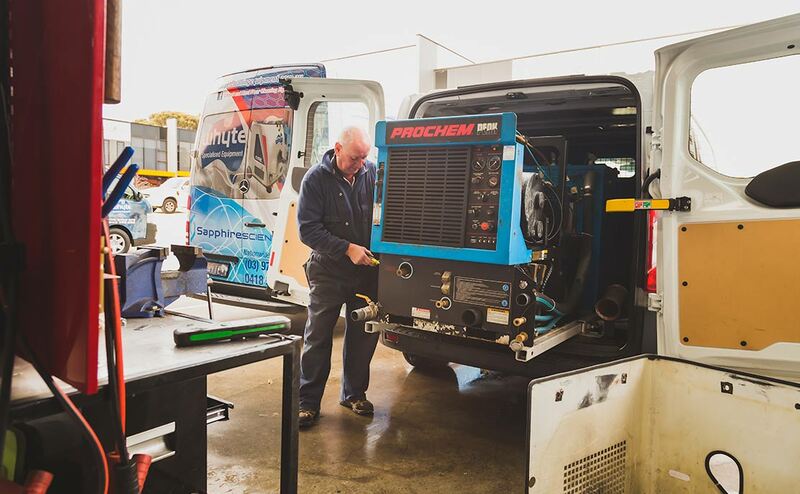 We have scheduled servicing programs for both truckmounts and portables. You can rest easy that you’re getting the very best service from our Sapphire Scientific technicians. 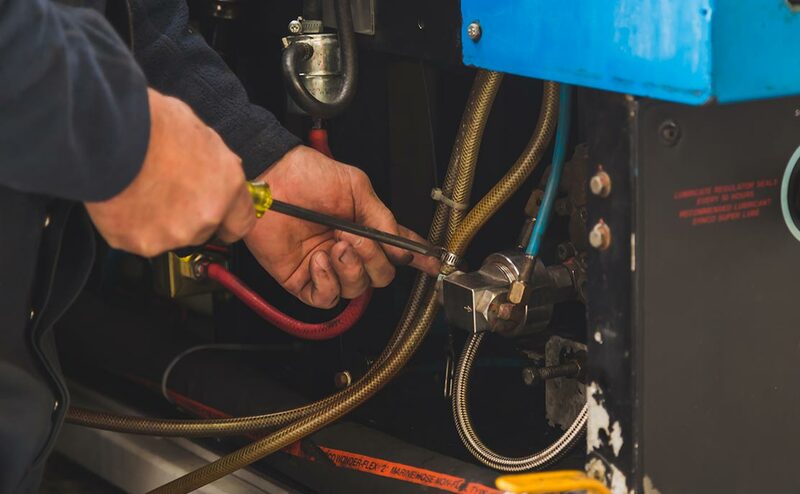 Are you finding your machine is struggling for pressure? In many cases, you may find the problem lies in the cleanliness of the solution tank filter. 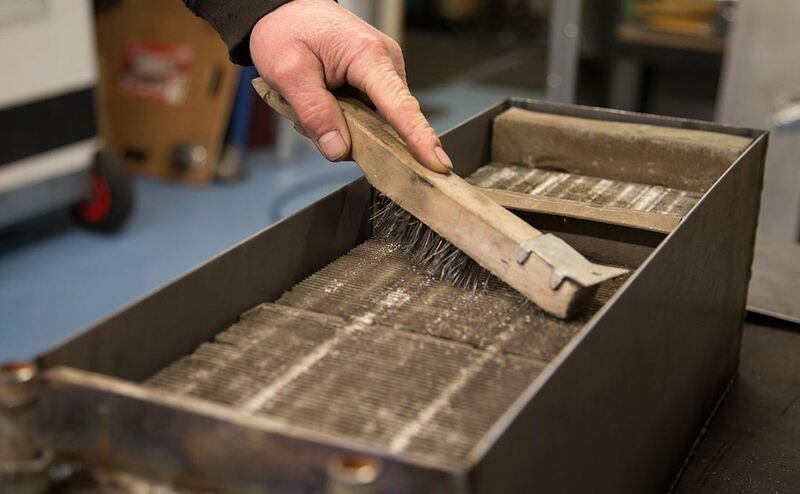 Before calling technicians or paying a servicing fee, check and clean the filter. Is the dump valve closed? These can sometimes appear closed when they’re slightly open. Try fully opening then re-closing the dump valve before continuing further. If this doesn’t work, another cause can be related to the vacuum intake filter located in the waste tank. Check and clean before using your machine. This could be caused by a number of things. Before calling a technician, check the power source and the extension lead by plugging in another appliance to make sure there is no fault. Check that the fuse has not been tripped, which would stop the power to your machine. Loss of solution pressure and water flow is another challenge some face from time to time. Make sure the garden tap is turned on before continuing further, please be aware some outside garden taps are on a timer, this may also affect your truckmount water pressure. Is the dump valve closed? These can sometimes appear closed when they’re slightly open. Try fully opening then re-closing the dump valve before continuing further. 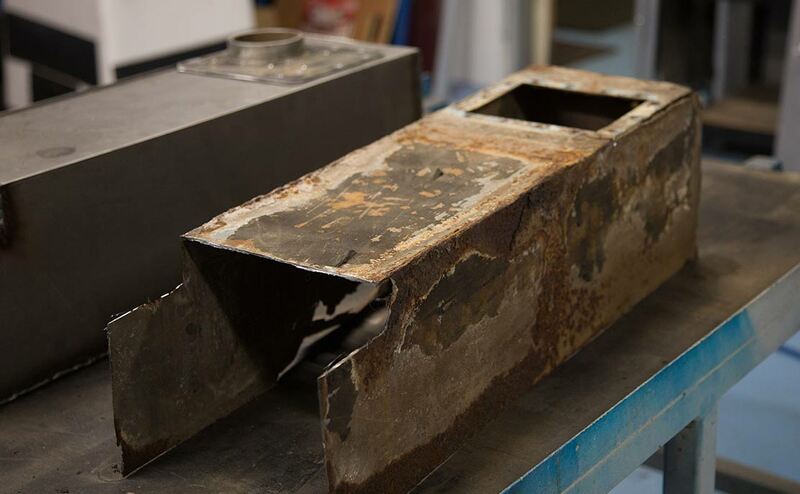 The that isn’t the case, another possible cause could be the waste tank lid. Test the lid by making sure it is properly fitted and closed. One potential cause is the heat bypass valve. A lack of heat is caused by the unit bypassing too much water through the bypass vale – it may be faulty and need to be replaced. A potential cause is the solution filter. Make sure to check and clean before continuing. It is located just after the male quick connect on the handle.